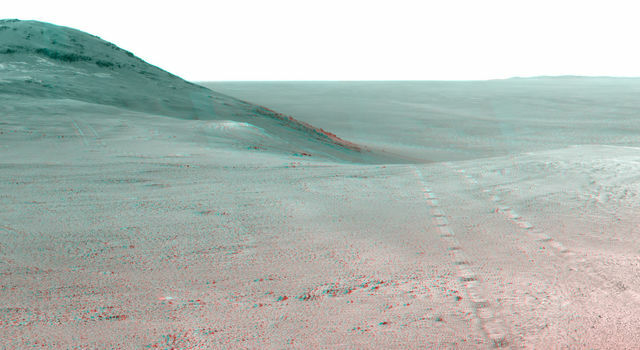 NASA's Mars Exploration Rover Opportunity recorded a panoramic view before entering the upper end of a fluid-carved valley that descends the inner slope of a large crater's rim. 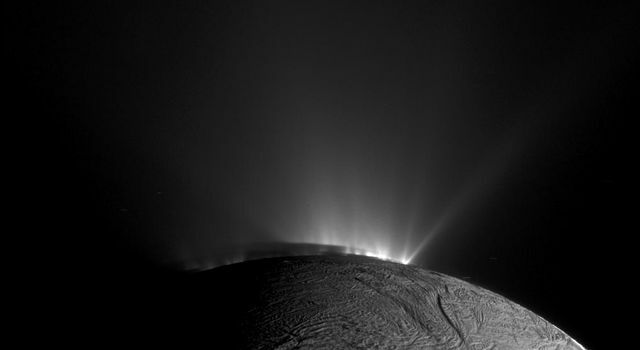 The scene includes a broad notch in the crest of the crater's rim, which may have been a spillway where water or ice or wind flowed over the rim and into the crater. Wheel tracks visible in the area of the notch were left by Opportunity as the rover studied the ground there and took images into the valley below for use in planning its route. 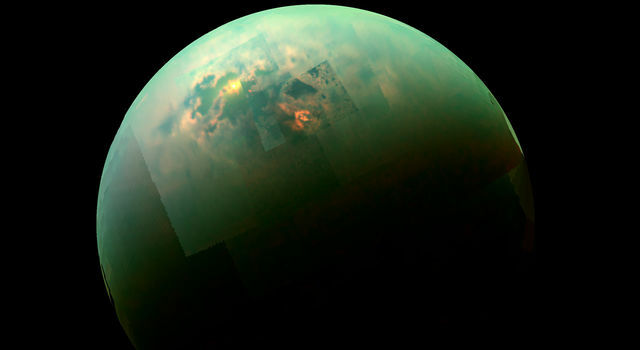 "It is a tantalizing scene," said Opportunity Deputy Principal Investigator Ray Arvidson of Washington University in St. Louis. "You can see what appear to be channels lined by boulders, and the putative spillway at the top of Perseverance Valley. 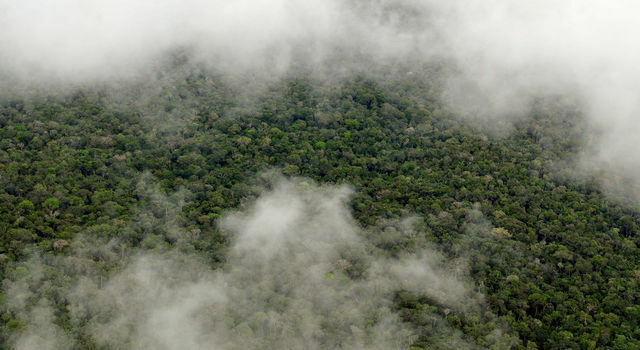 We have not ruled out any of the possibilities of water, ice or wind being responsible." 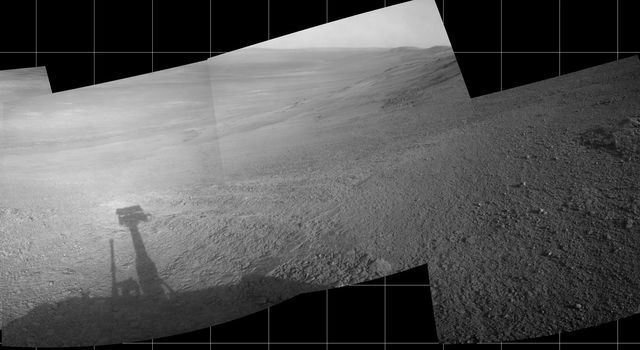 Opportunity's panoramic camera (Pancam) took the component images of the scene during a two-week driving moratorium in June 2017 while rover engineers diagnosed a temporary stall in the left-front wheel's steering actuator. The wheel was pointed outward more than 30 degrees, prompting the team to call the resulting vista Pancam's "Sprained Ankle" panorama. Both ends of the scene show portions of Endeavour Crater's western rim, extending north and south, and the center of the scene shows terrain just outside the crater. The team was able to straighten the wheel to point straight ahead, and now uses the steering capability of only the two rear wheels. The right-front wheel's steering actuator has been disabled since 2006. 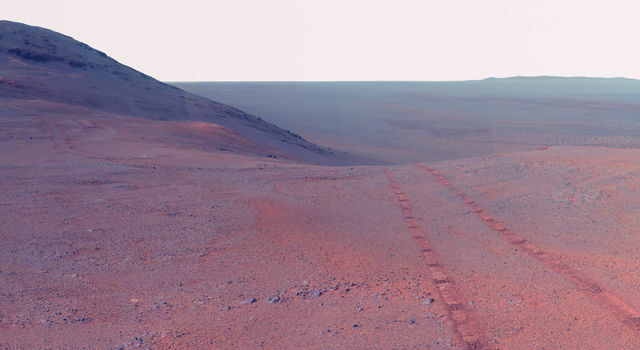 Opportunity has driven 27.95 miles (44.97 kilometers) since landing on Mars in 2004. 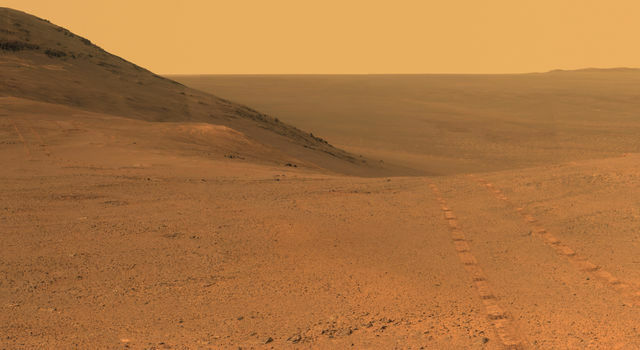 On July 7, 2017, Opportunity drove to the site within upper Perseverance Valley where it will spend about three weeks without driving while Mars passes nearly behind the sun from Earth's perspective, affecting radio communications. 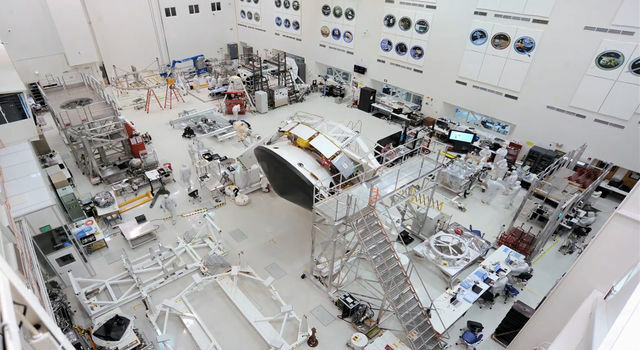 The rover's current location is just out of sight in the Sprained Ankle panorama, below the possible spillway. 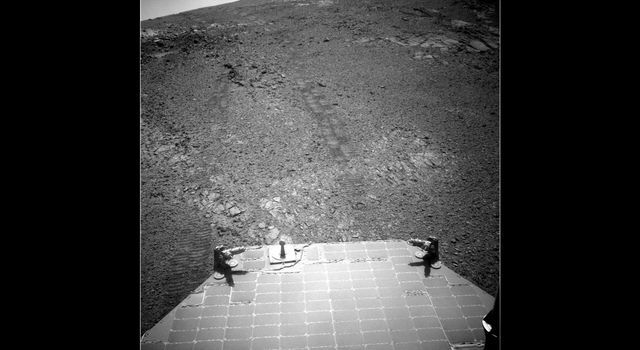 Opportunity is using Pancam to record another grand view from this location.